In a previous post I looked at resilience in individuals and the core skills that a leader needs if they are going to be resilient. All teams, organisations and communities are made up of people, and a ‘utopia’ would be where every person had the coping and adaptation skills, so that their resilience would reflect in the teams, organisations and communities that male them up. However, it is true that even in teams with resilient individuals, this does not translate into the team being resilient with them coping and adapting in productive ways. In this post, I would like to take a look at teams and how they can become resilient. Often the stress or change leads to the team ‘breaking down’ into smaller cliques or into its individuals, that pull back from the greater group concept in attempt to personally cope. Whilst this defensive strategy may appear appealing for safety purposes, it limits the availability for individuals to draw on ideas and resources of others, and to rapidly learn or be coached to better coping behaviours. Although it may feel right, this defensive response often slows down learning, impedes coping and makes people less resilient (support is an important part of being resilient). The team performance is therefore negatively affected. I have seen a global team hit by crisis, where team members responded to the stress and uncertainty by taking individual positions, blocking others, competing for credit with the executive board and employing inappropriate, non-productive actions in attempt to personally survive. The team under this stress completely broke down, rather than pooling their ideas and resources and working together for a positive outcome. The most resilient individuals were able to cope best, whilst others were left to flounder and be left behind. The overall team performance was reduced to a shambles, and it was only after the ‘crisis’ that any attempt was made to reform the team – but at this stage some bridges were too badly burned and individuals even left the company as a result. The team was a ‘sunshine team’; when things went well, all was fine. But when they were placed under stress, they collapsed as a team were not at all ‘resilient’. This example is similar to many teams, organisations and communities that I have worked with. They had not cultivated resilience or prepared for crisis – so when one hit, it led to a dramatic and highly stressful response. Can it be different? What could have been done differently? 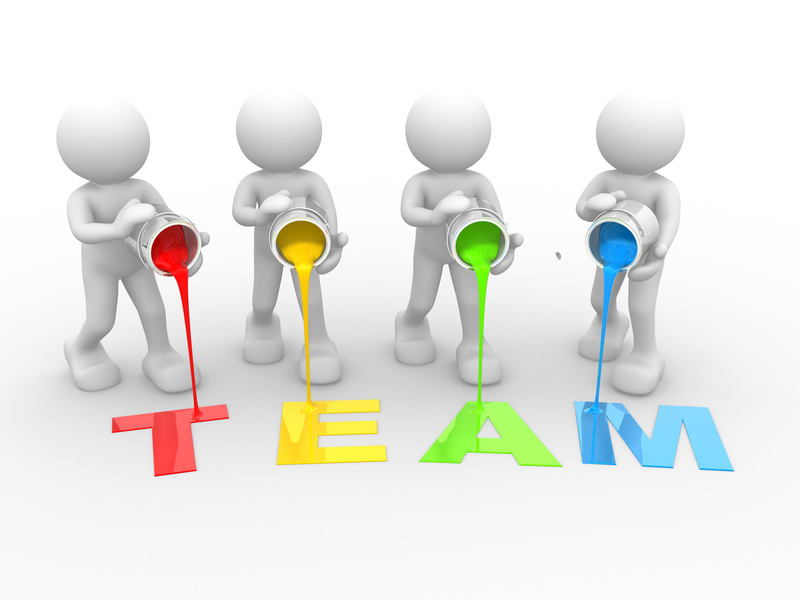 The team has to be formed so that it has a strong internal identity, and a clear purpose. Developing the team through the stages of inclusion, control and openness to being performance focused is important, with the team in a position to develop its own sub-culture, rules and standards. The leaders must demonstrate and value resilience. Leaders are the most visible and salient members of any group. Members of the group look to the leaders to determine the behavioural norms and referent behaviours that they should aspire to. When each group member is unconsciously asking themselves the questions “what makes me safe?”; “what makes me successful?”; and “what makes me feel good?”; then looking to the leader and their behaviour is a common way to answer them. Leaders that demonstrate personal resilience, and value resilience in others, are setting a template of how individuals should behave under stress or during change. Groups must have a culture of resilience. This means that the ‘cultural artifacts’ are consciously developed in the group which demonstrate and value resilience. (A cultural artefact is a living demonstration of the culture in action). These artifacts can be broken into three clusters: structure, process and design; stories, heroes and rituals; and language. For example, in your teams, how are people who demonstrate resilience described? Are stories made of their exploits and shared? Are there rituals to publicly value resilient behaviour? Are there processes to support resilience (risk planning is a great example), is there someone responsible for crisis, or specifically in place to help the team cope with challenge and stress? Is resilience openly discussed, and is there a common language for crisis, stress, coping and adaptation, and open discussion about these topics? Consciously creating and cultivating resilience cultural artifacts within the team ensures a culture of resilience is embedded within it. The resilient culture is often part of a bigger cultural picture that the group tries to establish, often with ideas like collaboration and innovation woven in. Leaders and team members must develop and refine the skills of resilience. Leaders in particular, if they have the skills of resilience, can add real value by coaching others to develop these skills and utilise them. Creating greater awareness and practice of the skills of resilience allow the individuals, and the whole group, to respond better and faster, have less destructive impact on the group structure and allow reformation more quickly. Practicing the skills in escalating stress (even war gaming, for example) allows the skills to be properly refined and developed. Teams need to look at risks and the potential for crisis and change, and adequately prepare. Often it is unexpected crisis which causes stress and change. When risks have been assessed, and appropriate plans put in place, then when these situations emerge they are much less stressful. Preparing a crisis plan and training the group in crisis response is a valuable step. Have you been part of a group or team that has been through stress or a crisis? Did the team respond with resilience, or did it fracture? What aspects of resilience could have been enhanced to avoid team breakdown under pressure? In the next blog in this series, I will look at resilience of organisations and communities, and the importance of developing resilience at these levels.